Now featuring new instructions, new illustrations, and new information, The Principles of Knitting—beloved by knitters everywhere and one of the most requested out-of-print books for years—finally gets the revision that fans have been clamoring for! A treasured guide beloved by knitters everywhere, the classic book The Principles of Knitting is finally available again in a fully revised and updated edition. This is the definitive book on knitting techniques, with valuable information for everyone from beginners to experienced knitters. 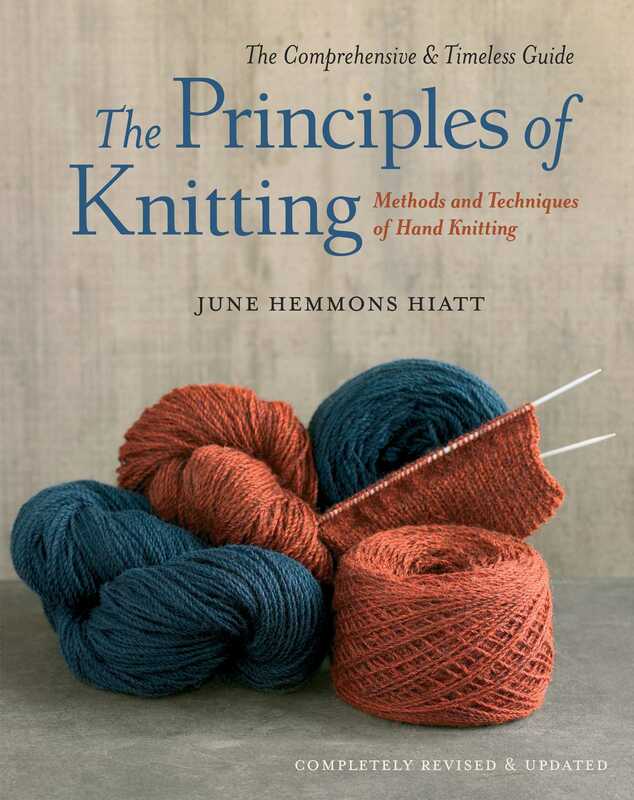 June Hiatt presents not only a thorough, thoughtful approach to the craft, but also a passion for carrying on the art of knitting to future generations. She has repeatedly tested the various techniques and presents them with clear, easy-to-follow instructions—as well as an explanation of what each one can contribute to your knitting. Informed by decades of experience and thousands of hours of practice, this comprehensive resource offers a variety of ways to approach every skill and technique and offers solutions that can help solve the most challenging aspects of any knitting project. The Principles of Knitting has been totally rewritten—new instructions, new illustrations, and new information. While the basics of knitting have not changed much, June’s understanding of the material has deepened over the last twenty-five years, and she’s eager to share what she has learned with the knitting world. In addition, the book has been reorganized to make it easier to use and has a gorgeous new design. Reading The Principles of Knitting is like having a knitting mentor by your side who can answer any knitting question you have in an honest, intelligent, informed manner.